The DLP Discovery 4100 from Texas Instruments offers the highest speed pattern rates in the DLP catalog portfolio with the option for random row addressing. Two offerings currently supported are: 0.7 XGA chipset and 0.95 1080p chipset, which enable binary pattern rates of up to 32 kHz and 23 kHz, respectively. These fast pattern rates set DLP technology apart from other spatial light modulators and offer customers a strategic advantage for equipment needing fast, accurate and programmable light steering capability. The unique capability and value offered by DLP Discovery 4100 chipsets makes them well suited to support a wide variety of industrial, medical, and advanced display applications. A dedicated chipset provides developers easier access to the DMD as well as high speed independent micromirror control. The DLP chip illumination is well homogenous thanks to an integrator rod that acts as a convenient light input port. 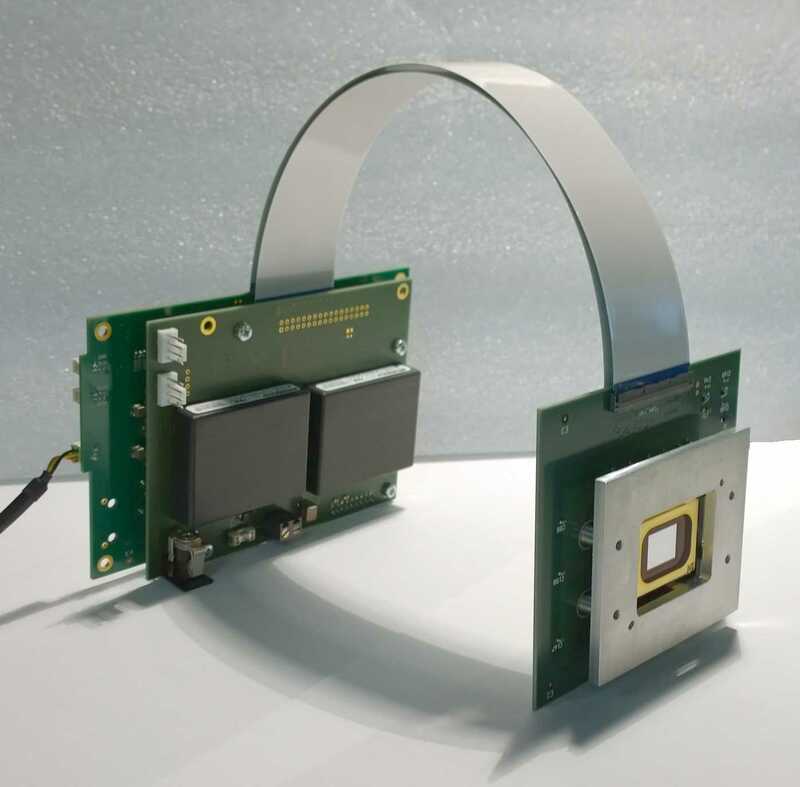 Images: adapterboard from bbs, optics module and LED light scource from DLP.